There are a few questions that tend to fly around (<– see what we did there?) when a business is starting up on Twitter. Some of the more prevalent questions are: “What content should my business Tweet?”, “Who do I follow?”, “When are the best hours to Tweet?”, and “What keywords or #hashtags are most used by my followers?”. So, we want to get you in the know by providing you with the answers to these questions in order to help get your business growing on Twitter today in a GIANT way! Where to Start: What Should I Tweet? If you want to know how to find amazing new Twitter content, then we need to start with the basics. It’s easier than you think – just put yourself in the shoes of your audience! Most of your customers only have about 5 minutes to check their personal Twitter accounts during their lunch or break before they must return to the work. So, what would YOU want to read during your 5 minute digital escape? Some company’s latest sales pitch? Probably not. Think about it this way, most personal Twitter accounts are used for checking personal updates and scanning through the latest news stories relevant to what your audience has chosen to follow. We have to put into perspective the fact that Twitter is a personalized news feed which is completely LIVE and on the go with your viewers. It is when we finally realize this and get our gears in motion, that we really find ourselves on the right track to a more successful and engaging business to consumer relationship. You might begin by looking for the right information to share by finding something that inspires you, follow people who are interesting, and make sure that you retweet (RT) the latest information, news, local events, and content with helpful tips and tricks. But don’t limit yourself to only retweeting (RT) information—make sure that you also create some of your own content too! When Tweeting original content, be sure that the headline is HOT and interesting, and use keywords or #hashtags that are trending and popular with your followers and your brand. Be interesting and don’t forget to have fun with it! Believe it or not – following members and brands on Twitter is a BIG part of YOUR company. Your business can find value in following members that align with your brand’s general tone. Let’s say there is a business selling home insurance starting a new Twitter account. We would suggest that this business may find it valuable to follow insurance based brands on Twitter, of course! But they may also find it helpful to follow members who Tweet about buying new homes. Likewise, it wouldn’t be a bad idea to follow members that offer tips and tricks on home improvement. Keep in mind that they might Tweet things that this business may also want to retweet to THEIR followers in the future. You may also consider following brands that reach outside of your brand’s “comfort zone” by following non-relevant Twitter accounts like informational feeds, news sites, humorous quotes, small business marketing, inspirational photos – anything that you deem worthy for your company to share as your brand’s future Tweets, so keep it fresh! Lastly, we here at GIANT Marketing always suggest that you follow competitor brands. You may find it hard to believe but this is more than just keeping an eye on the competition. You never know when you may get an idea from someone on the other side. That is, you don’t need to follow your competition in order to do something better; rather you might follow them for the inspiration to do something differently. Not to mention that “following” your competition generally leads to a few extra fans from the other side. It may seem strange at first, but today – let’s be the bigger business! Statistics tell us that Twitter fans generally check their accounts in the mornings just before work, lunch break, and after work. So, what are those hours exactly? Although most people swear by 9AM, 12PM, and 3PM. Let’s reanalyze these times, shall we? Let’s consider that your brand has a unique group of followers that may very well be on at 9AM, 12PM, and 3PM. However, this may not be the case in every scenario and let’s be honest…if something gets Tweeted and no one is around to read it, was it ever really Tweeted? Realistically, most of your customers do not all have the same work schedule, nor does the majority of your customers also happen to live in the same time zone. Similarly, keep in mind that everyone is different, every company is different, and your customers are no exception! So, how do we find out when the best time is to share that amazing new content of yours? We certainly want each and every post to reach the most possible Twitter viewers, so it’s no secret that this job calls for an analytics report! Once you create an analytics report, be sure to keep all reports updated since you are always adding new fans and brands in this ever changing social media universe. 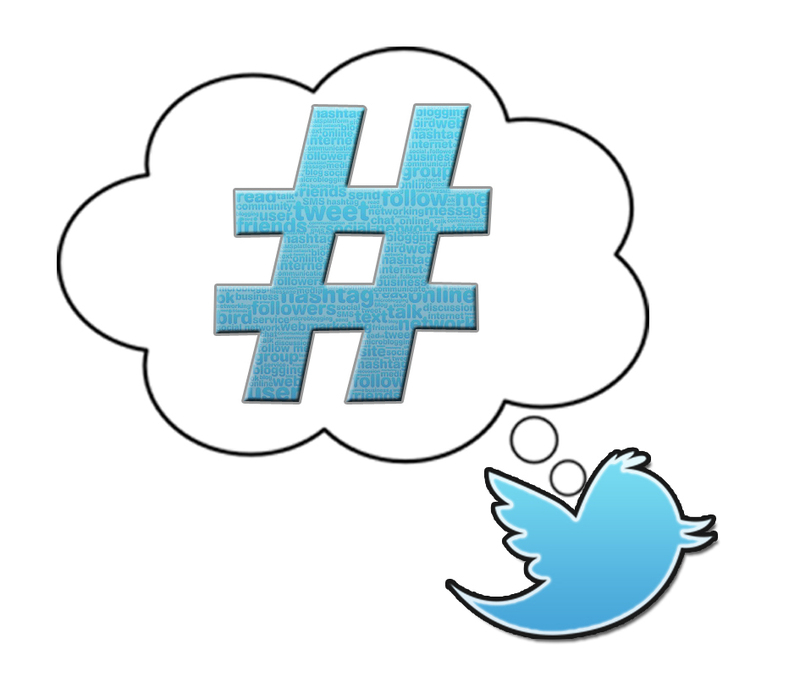 Part of getting your name out there in social media on Twitter is utilizing the #hashtag code. This is a live keyword that instantly draws attention to your latest and sometimes less recent posts. 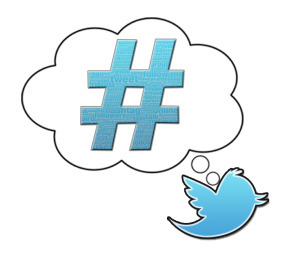 Using a hashtag is always recommended, but the trick to using a hashtag is to be sure that it’s a hot topic before you drop that code into place. For example, why would you want to hashtag #office when you know that the hashtag #marketing has been more popular in the past 24 hours and that more people are currently searching for it? Obviously #marketing would be the better choice. The most important thing to remember is to make your hashtags count by ensuring that they are not only relevant to your posts but will get you noticed the most. Now that you have the answers to these important questions, you are ready to jump on that Twitter bandwagon and see what it is all about! Don’t forget to Tweet us @Giant_Marketing about your travels through the Twitter universe! Got more questions that you need answers to? Leave us a comment below, we love to hear from you!